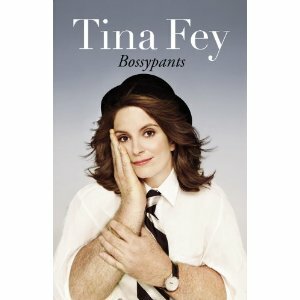 I just finished reading Bossypants and let me tell you, it is classic Tina Fey. If you like Tina Fey, and Amy Poehler, and the Saturday Night Live crew, both present and old, then you will enjoy this hilarious book rightly named Bossypants. Tina Fey is her usual self, poking fun at everything and anything, including of course Tina Fey most of the time (as to be expected for those that watch 30 Rock). The book itself is a journey with Tina from her theatric high school beginnings in eastern Pennsylvania, on to life in Chicago at Second City, and then landing at SNL in the Big Apple. Finally, the book provides a look into a current day in the life of Tina Fey, inclusive of her own show, in which she writes, stars, and produces, and all the while with a little one in tow. Phew, it's exhausting just typing that, but like many females in the 21st century, she's a wonder woman that seems to do it all. Take from it what you want, whether it is just pure entertainment, or the secretly embedded life's lessons hidden within the humor. It's a very quick read and easy to get from start to finish in a few days. I'd say it's the most fun self-help book there could be.